My sincere thanks to everyone for the interest shown in the Executive Outcomes reprint as well as the encouragement I got to complete it, and despite numerous set-backs, it was finally done. I recently signed off on the preliminary cover for the EO book which was done by Anthony Cuerden of Flying Ant Designs (www.flyingant.co.za). Although there are one or two smallish changes that need to be made, the cover will pretty much look as shown hereunder. I think Anthony did an excellent job. 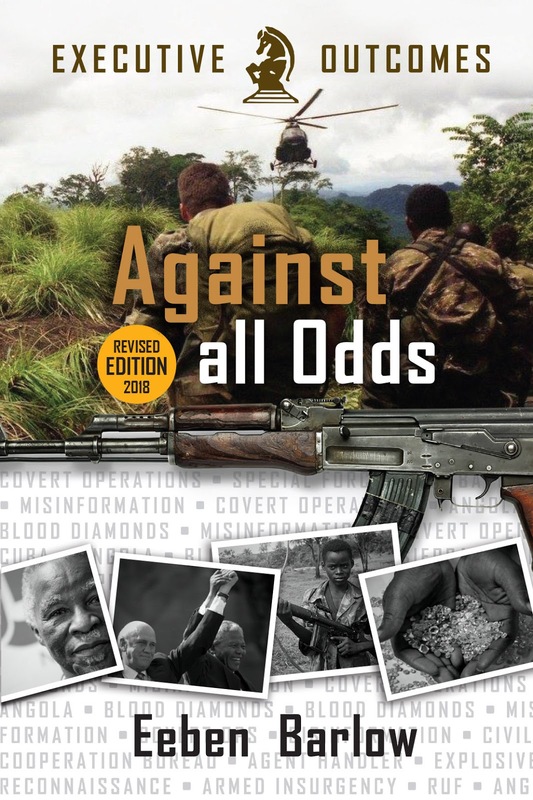 The reprint is very different from the first publication by Galago as a lot more information—such as recently surfaced MI and DFA lies and deception, the duplicity of the South African government at that time and its desire to support a Maoist organisation at the cost of young South African lives, the use of state funds for private gain, and more—has been added. The book was also extensively reedited by Marisa Robson (https://www.facebook.com/marisa.cronje), who did an excellent job fixing, questioning, reading and rereading the draft, and making sure things read right. If all goes well, the book should be available in bookstores around the end of February, early March 2018. I am told that there has been great interest in the hardcover books (100 with a commemorative EO coin and 100 without the commemorative coin). Obviously, the hardcover books, all numbered and signed, will be more costly that the soft cover books. 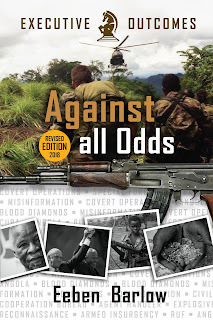 The hardcover books will only be available through Piet Fourie’s Bush War Books site (www.warbooks.co.za).